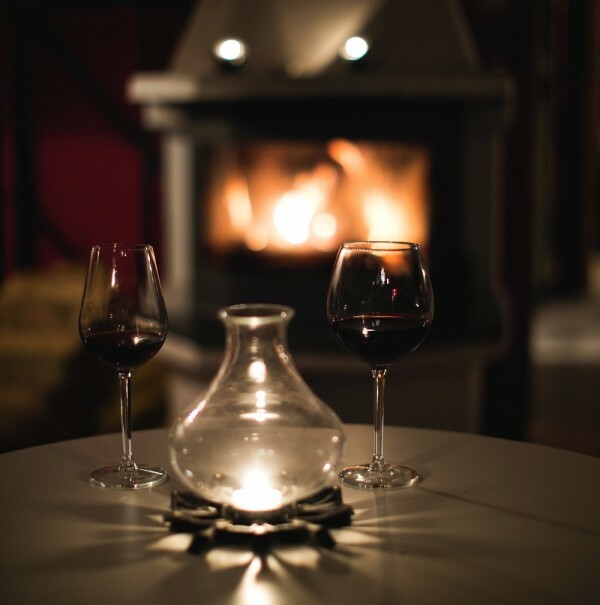 It’s that time of year where we want to build a fire, dig out our cozy socks and curl up under a blanket with a glass of red. Extra points if you uncork one whose characteristics actually mimic those of a fire box or wood burning stove. If your tastes tend to lean towards savory bottles, your rack or cellar is begging for you to discover reds that will see you through the long season ahead. What do you mean by “smoky” wine? “A smoky red wine... consists of unique, savory characters,” says Daniel Chaviano, head sommelier at Boulud Sud Miami. “While you can still smell the fruit, there are certain aromas—like bacon, beef...or wood.” Rather than being overtly fruity or jammy, these wines pick up intriguing secondary and tertiary notes that add complexity and nuance. Where does smoky wine come from? No varietal and terroir combination is more intrinsically linked to smokiness, says Matt Tunstall, co-owner and beverage director at Stems & Skins in North Charleston, than syrah grown in the Northern Rhône. This is especially true in Cornas, Hermitage and Côte Rôtie, where grapes are grown on soils of schist, mica and granite which also play part in their profile. (The latter appellation translates to “roasted slope,” a reference to the hours of sunshine grapes planted on south facing soils undergo each day during the growing season.) Chaviano agrees on the automatic association with these appellations producing wines evocative of meaty and smoky elements, adding that it was a bottle from Rhône winemaker E. Guigal that stirred him to eschew fruity reds and reach for savory ones instead. Another varietal with these inherent characteristics is South African pinotage, a cross between pinot noir and cinsault. Kanonkop is one of the most respected producers, and winemaker Abrie Beeslaar says his expression is the perfect transition wine to ease from fall to winter. “Although it is complex and rich, it has a very different structure to most reds.” That hint of smokiness is joined by blackberry, plum and dark chocolate and moderate tannins. “You can taste the African sun in this rich and plush wine, enough to take the winter blues away,” he touts. Some European regions located close to volcanic areas—like Etna and Taurasi in Italy or the Greek island of Santorini—can produce wines that give off smokiness, which may be linked to lava remnants in the soil or other terroir-driven factors more difficult to pinpoint. Of course, environmental reasons like the devastation currently happening in California can play a part, too. “[When] grapes [are] exposed... to a fire or smog, those smells can pass through the grape skins and into the pulp, where they combine with the sugars and turn up in the wines,” explains Mario Geisse, agricultural engineer and enologist and technical director for Viña Casa Silva in Chile. Smoke taint, as it’s called, can still be attractive in a wine—that is, in small doses. So when does smokiness—no matter if it’s gleaned from grape, barrel or forest fire—become off-putting? “[It’s] an attribute if it’s gentle and adds character,” believes Garcia. “When the smokiness dominates all aromas and flavors, then it’s a fault.” As with tannins, acidity, fruit and mouth feel, it’s all about balance. 2016 Kanonkop Pinotage($40), with a bold intensity of red plum, red berries, dark chocolate, vanilla and aromatic sweet spice. Drink now or cellar for 5+ years. 2016 Casa Silva Carménère Los Lingues Vineyard ($25), intense aromas of ripe black fruits and wild forest fruits are joined by a balanced palate with good structure, power, sweet and round tannins and flavors of boysenberries and tobacco. 2014 Alcance Gran Reserva Carménère, ($20), which shows black fruits, blueberries and spice on the nose as well as fruit, smoke and spice on the palate, elegant tannins and a powerful finish. 2016 Domaine Clusel-Roch “Les Schistes” Cote Rotie ($40), elegant yet structured, with a complex nose of black fruits, spices and violets that can evolve over time to toasted tobacco. 2015 Domaine Les Aphillanthes Le Cros ($20), this Cotes du Rhône Village AOC wine, though produced farther south than its smoky syrah cousins, still packs many of those rich flavors at a surprising bargain. Alcohol Professor is an industry insider's guide to all things beer, wine and spirits. Basically, it's the class you always wanted to take!